I don't know about you but this here genre fan just can't seem to get enough Nicolas Cage. Not that the actor isn't trying my patience with a new low-budget movie coming out every week. But it's all good as the Oscar winner always ends up pulling out a surprise treat such as last year's one-two punch of Mandy and Spider-man: Into the Spiderverse. And it looks like Cage has his next cult classic in the works as today we have word he has joined the cast of Dimitri Logothetis' alien invasion, martial arts movie Jiu Jitsu. If the quick rundown of "alien invasion, martial arts movie" wasn't enough for you, the plot goes a little something like this. 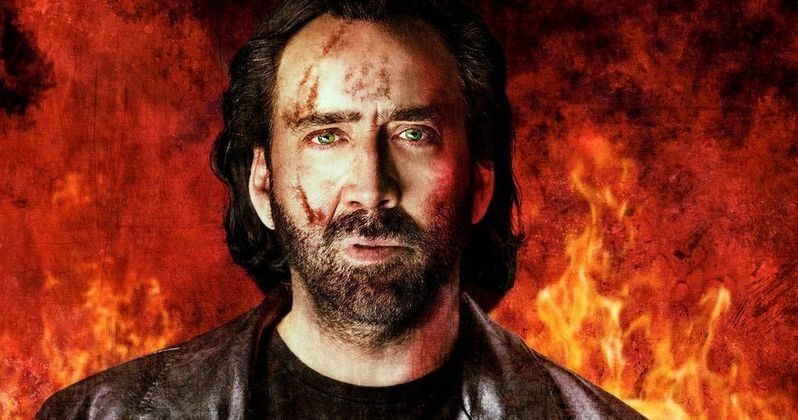 While Nicolas Cage is set to topline the film, he will costar along with the above-mentioned actor, stuntman and martial artist Alain Moussi. And for those not familiar with Moussi's brand of justice, the man has played the lead role in the last two entries of the rebooted Jean-Claude Van Damme action franchise Kickboxer. In addition to playing the lead in Kickboxer: Vengeance and Kickboxer: Retaliation - with Van Damme returning to the franchise to play his mentor - Moussi has also starred in the Street Fighter web series Street Fighter: Resurrection and in the recent Batman series Titans. He is also a well-known stuntman having worked on such hits as X-Men: Dark Phoenix, X-Men: Days of Future Past, Shazam!, American Gods, Suicide Squad, Shadowhunters: The Mortal Instruments, and much more. As you might imagine, the man is no joke, having been trained in jujutsu, kickboxing, Brazilian jiu-jitsu, and mixed martial arts. "After we successfully reintroduced the Kickboxer franchise to a new generation of martial arts fans with the sixth and seventh entries in the series, we set out to up the ante with a sci-fi martial arts franchise that could bring the same kind of intensity and longevity to a new arena. Jiu Jitsu is guaranteed to satisfy the millions of martial arts and science fiction lovers across the globe with world class martial artists, stunt men go-to expert Alain Moussi joining superstar Nicolas Cage for some formidable, no holds barred fight sequences set in exotic Burma."